We recently got settled with the purchase of a house in January of this year (2014). One of the greatest influencers at the top of our list along with school district and proximity to relatives was internet connectivity. In 2009 the town of Three Lakes, Wisconsin (voted “single best town in America”) made a concerted effort to upgrade its broadband infrastructure. What this meant was going from a sole DSL provider (if you were in town) to DSL, cable or terrestrial wireless. While connectivity speeds are not as fast as you find in some metropolitan areas, they are adequate for remote teams (24/1.75 Mpbs cable connection.) For a small town of 1,500 brave year round residents, this is a huge asset. Broadband availability is one of the top critical issues facing the now trending migration of a workforce out of office centers to suburbs and rural towns. The other issue of importance and current legislative debate is Net Neutrality. The availability of broadband and regulations governing its management will have a significant impact on which regions will be able to compete in a geographically broadening employment market. Because of the current ongoing debate of Net Neutrality I’ll focus on this issue as it relates to remote workers and distributed organizations. The most prominent current event in the Net Neutrality sphere is Netflix paying Comcast for faster performance, and now Verizon too. With pending Net Neutrality legislation, Netflix could no longer wait and caved under progressively degrading performance signing the two deals. In some instances people have argued that this isn’t of issue since Netflix can be classified in the entertainment and luxury category. 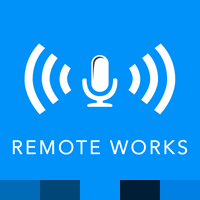 But let us look at how this event has changed the fundamental relationships and economics with the potential to impact remote teams and distributed organizations. The internet consists of a series of connected service providers (Internet Service Providers / ISPs.) For you as a consumer or business to be able to participate on the internet you sign a contract with one of the providers (which is typically structured as a fixed fee for a given connection speed) and you are connected. The type of data that is transferred (movies, photos, email, web surfing, whatever) is irrelevant in impacting the speed that is available to you. On the other side of the equation is an internet service (such as Facebook) that contracts with an ISP for connectivity. Facebook’s ISP and your ISP then have peering agreements that state they will connect their networks together. So when you as a consumer browse to Facebook, your ISP has agreed to transfer data regardless of what type of data it is from Facebook’s ISP. This is “Net[work] Neutrality”, all data is treated the same. What poor Net Neutrality policy introduces from a governance standpoint is the ability for your consumer ISP to decide to specifically target and degrade the service of Facebook (or Netflix) …unless they pay. This raises two issues, first it adds significant complexity to a service providers operations. Instead of dealing with a single ISP for connectivity, it now has to manage additional contracts with every ISP that chooses to “non-optimize” their service. The second issue is the added risk of a critical business application used by a remote worker and distributed organization not having paid enough ISPs for performance. With an already limited choice for broadband connectivity, alternative ISPs are not always possible. This is an impending risk. Since this issue is still in current debate, please consider signing the petition on The White House’s : We The People Maintain true net neutrality to protect the freedom of information in the United States Your support will help to achieve an environment for continued growth of remote workers and distributed organizations. If effective Net Neutrality legislation is passed, we’re positioning a key piece of infrastructure for remote workers, remote teams, and distributed organizations. Cultivate Now works with remote teams and remote workers to increase individual engagement through process, team culture and relationship building. Sign up to receive Cultivate Now's latest news and content. Privacy Guarantee: Your e-mail is never shared with anyone else. 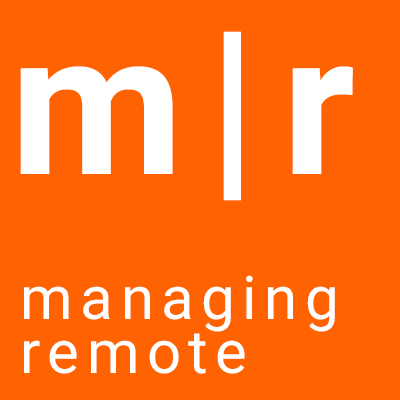 Know of an organization with remote workers? Three Lakes Coworking is a proposal to develop a coworking space for professionals in Three Lakes, Wisconsin. © 2019 Cultivate Now. All Rights Reserved.